From now, we are open until 4am every night! 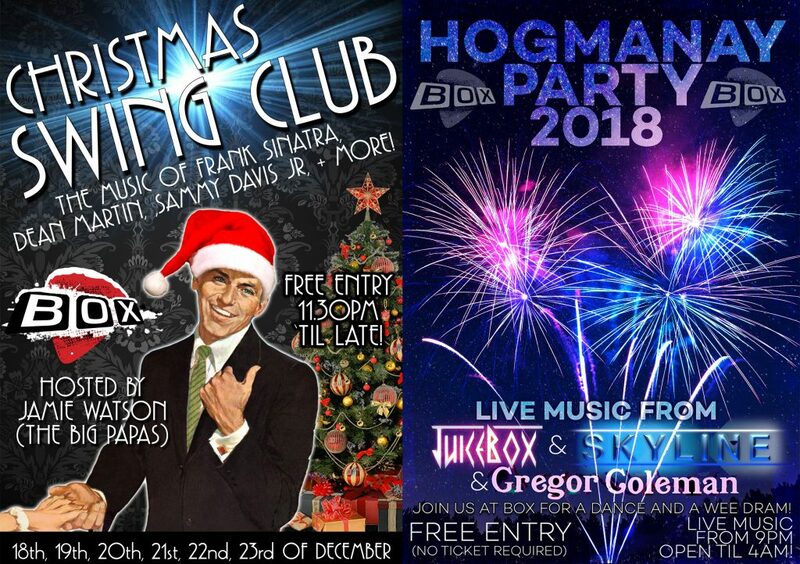 Join on the week of Christmas, for the return of Swing Club, every night from 11pm! We have the BOX Big Band in, and Jamie Watson from The Big Papas, singing all your favourite tunes from Sinatra to Sammy Davis Jr!